With Flavor In Every Bite! 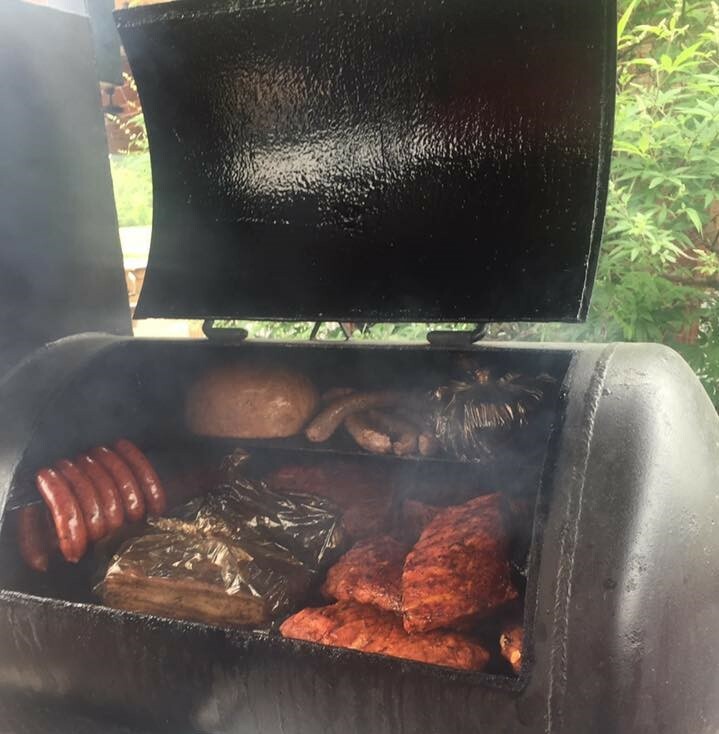 Hazel's Back Porch opened 2016 in Fort Worth, Texas with an 8.5 x 24 ft barbecue concession wagon. Our first year, filled with hope and plentiful opportunities, exceeded our measured expectations and helped perfect our mission statement and outline our future goals. One of those goals was to open a store front operation. Why Washington, Missouri? The conception of a Missouri store front began one Christmas while Hazel was visiting her son, Leonce S. Prophete, Jr. He showed her a location that might be available soon; a business account was opened, and plans were made to secure the location if it became available. After surviving a laborious second year, the opportunity presented itself and we took it. The Washington store will operate much as our concession wagon. We will cook to sell out. All sides, desserts, and sauces will be made in house daily. And our customer service-based operation prides itself on fostering a kind and friendly atmosphere. Our menu will feature our Loaded Baked Potato and Brisket Tacos. New additions to the menu will include Breakfast and Daily Lunch Specials. 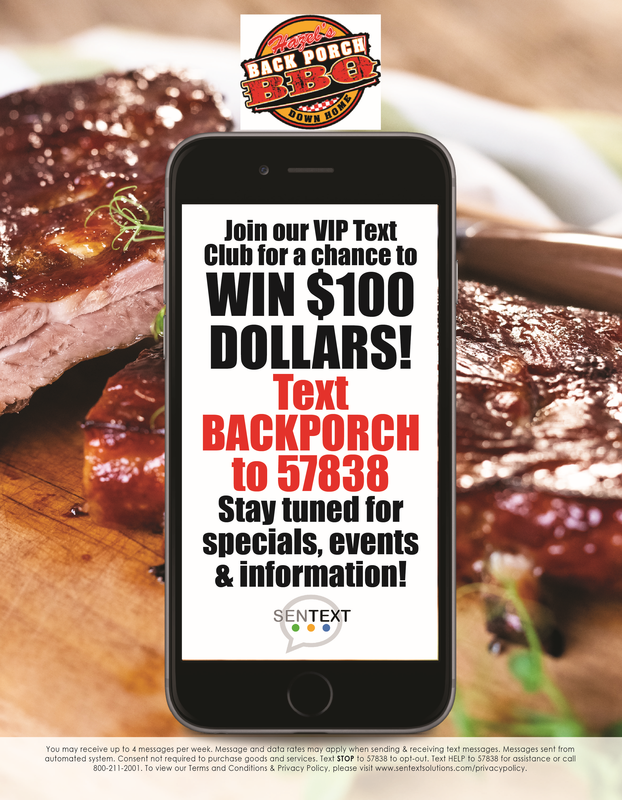 We look forward to providing a Taste of Texas experience in Missouri. 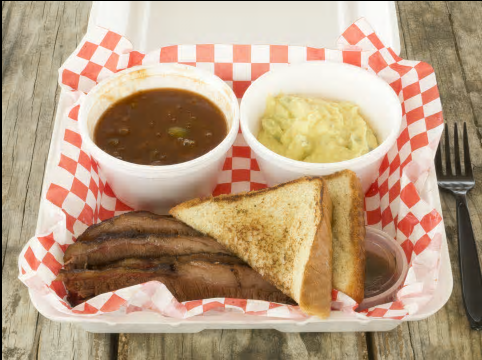 Our brisket - sliced or chopped - is the most popular item on the menu. 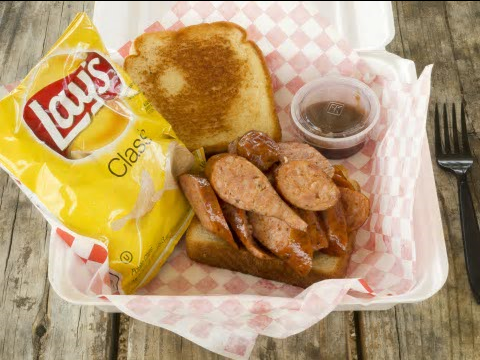 The polish sausage on buttered Texas toast and chips is a customer favorite. If protein is all you need, order your meat of choice by the pound. 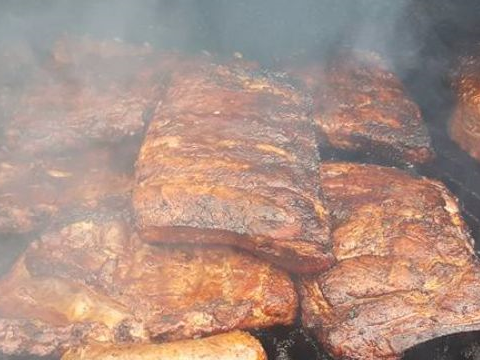 Hazel's Back Porch food trailer is fitted with a wood-smoking grill that allows us to deliver our distinctive flavored eats wherever we travel. We use fresh vegetables to make our sides before personally cupping each serving. That's right - the onions and bell peppers are freshly chopped and added to the baked beans before cooking. The mac n cheese is not store bought; it is made daily and served hot. Our peach cobbler and banana pudding are homemade with fresh ingredients, as well. Oh and our barbecue sauce... We cannot give away too much information our delicious sauce. However, we do take a basic sauce and add our own ingredients to give it that Tennessee Colony taste. Like everything else, it is prepared in the kitchen and bottled by us to hand to our customers. See what we have to offer and give us a try. You won't regret it!